After years of feeling numb to the world, Ava is finally ready to move on with her life. 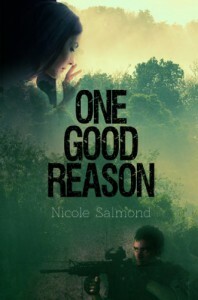 A spontaneous trip to Thailand with her best friend, Olivia, goes horribly wrong when Ava is kidnapped and held against her will in a secluded house deep within the Thailand forest. Her only contact is with the Thai men that kidnapped her and the mysterious Australian man who insists she has information that he needs; information he will do anything to secure. Hayden knew from the moment he first met Ava that the assignment wasn’t as black and white as he had expected it to be. He’d been sent to Thailand to retrieve the information from a suspect linked to a known terrorist- Ava being that suspect. But Ava isn’t like any of the other suspects he’d dealt with before, and as every day passes, he continues to grow suspicious that there is more to the story than he is being led to believe. When Ava and Hayden are faced with the real possibility that the reason for her kidnapping goes beyond what either of them could have ever imagined, they must move past their differences and find a way to work together, if they want any hope and chance of survival. The idea of this story is a good one, the execution is off for me. It reads more like a first draft than the final copy. This book is based in Australia, but takes place in Thailand, mostly. It has the English versions of words (realized is realised) and that always throws me off, but I did get used to it. There was one time that she spelled realized with a z though, so go figure. There were things that happened that were hard to swallow for me, like her friend showing up at the hotel, without going into too much detail about it, I am just saying; the believability of it is questionable. There are more scenario's like that throughout the book. In retrospect, I originally gave this 3 stars, I think I'm going to change it to 2.5 Stars now. It wasn't completely unenjoyable.